This is just a quick Team Deathmatch in the game Gotham City Impostors. Pixelated Zen Plays PlanetSide 2 Episode 001! That’s right ladies and gentlemen, I am back. I actually enjoy doing these videos and soon I’ll have a bit more time, so you can expect more from me. I’ve also changed from a “Record later over the pre-recorded video” style to a “record voice on the fly as I play” style, and I think it’s an improvement. I started the day playing DC Universe Online, a game I’ve put some serious time into recently. According to Steam I’ve spent 233 hours in the game so far, with 93.4 of those hours in the last two weeks. Good thing I’m on vacation! Anyway, after a few hours of DCUO this morning I decided to play a couple games of another DC title, Gotham City Impostors. I picked it up real cheap last weekend from Gamefly and I’ve not put much time into it. Why? Games for Windows Live. Half the time it won’t connect, and so I can’t play the game. The rest of the time is split between not being able to find any players in the matchmaking and getting in a rare few games. Still, the gameplay is fun enough to keep me coming back, at least for now. Below I’ve included a video of one of the matches. Sometimes a clown just needs to shoot someone. I prefer playing as a Bat, but the game automatically chooses which side you’re going to be on. Sadly, it makes you purchase the costume pieces for each side seperately, so while my Bat character is finally getting decked out, my Joker character still looks lame. I started out the night feeling like some nice clean FPS fun. Now, I own Modern Warfare 3 AND Battlefield 3, but I don’t really play either of them anymore. There are reasons for that that I will get into in another post but for now suffice it to say that my personal tastes don’t mesh well with either of the big two. 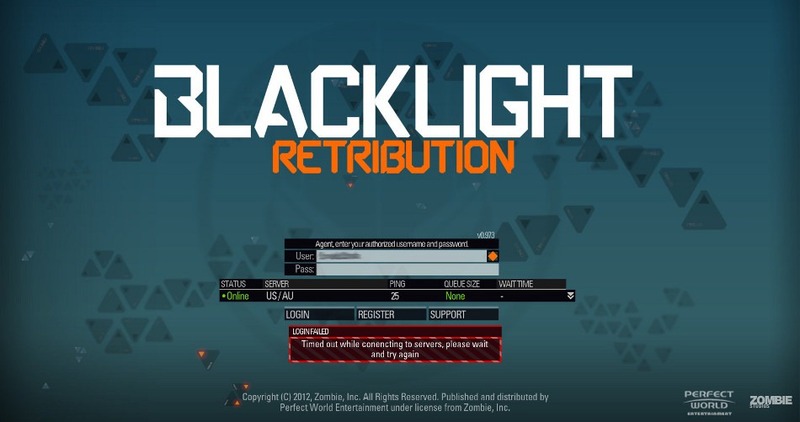 I’ve been playing Blacklight: Retribution for roughly a week now, ever sense it debuted on Steam, and I have to say that I am in love with it. Graphically it’s very nice, not Battlefield 3, but much better than any other F2P shooter. The best part of the game is the HRV which will allow you to see through walls/floors for a few seconds, with a bit of a cooldown. You are entirely vulnerable while using it, as you can’t fire a weapon with it on and it takes a second to turn off again, but when you get the hang of it you can use it before going into a building, see a soldier kneeling facing the door and either come in shooting directly at him or lob a grenade through the window and flush him out. It’s changed the way I want to play shooters from now on. Sadly, the game has it’s share of problems. First and foremost are the bugs. Sometimes I just can’t log on, other times I’ll join a match and everyone will be named “Player”, be level 1 and have none of the gear they’ve managed to buy/earn. It’s as simple as leaving the server and joining a new one to get your stuff back, but it’s still a pain. Another problem is the cash shop. You can use real money or GP that you earn in game to rent/purchase weapons, armor, really anything in the game. I really want an item that lets you resurrect fallen friendlies, like the medic in Battlefield with his jumpers. Sadly, it costs 11k GP. I’ve been playing on and off for about a week and I have 5.5k. I can also pay $10. $10 for that ONE item. I’ve seen Battlefield 3 go for less than the cost of three items, and that’s sad. I’m not one of those people who refuses to pay in F2P games either, just ask DCUO. I’ve spent more money in that than it would have cost to buy it at launch, because I am enjoying it. LOTRO has gotten at least $50 from me, not counting my original purchase and purchase of the Mines of Moria Expansion. Other games have gotten more or less, such as Tribes: Ascend getting about $10 so far. Still, I refuse to pay $10 for one item, so I’m going to grind for it the old fashioned way. Why? Because I’m playing the game to enjoy playing the game, what does it matter if it takes a few extra days to get it? I got this when I tried to log on. Server is Online, ping is 25, no queue size, no wait time, won’t connect. One of the bugs. So, since Blacklight: Retribution didn’t want to come out and play I decided to two-time it with one of it’s F2P sister shooters, Tribes: Ascend. I’ve put a few hours into Tribes and I’ve thoroughly enjoyed the combat. The skiing is a lot of fun, the spinfusor is insanely hard to master but really fun to use, and the F2P system really isn’t done badly in the game at all. 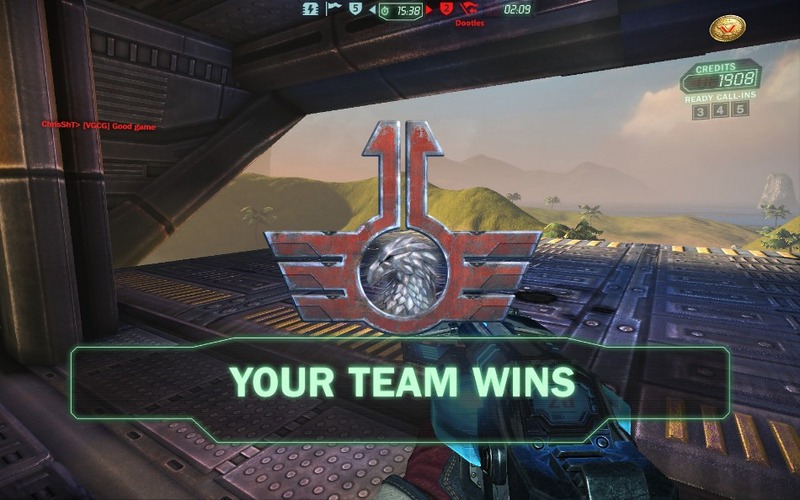 Of course, I haven’t really touched Capture the Flag. Why you ask? Because I’m terrified of it. There is just so much to deal with, the Skiing, the unique weapons, vehicles, turrets, radar, generators, flags, little hover rings that lead to the enemy ship, etc. It’s just a lot to come to grips with at once, so I’ve been practicing in Team Deathmatch to get better at skiing and aiming the spinfusor. Well, I finally decided to take the plunge, and overall I didn’t do too badly. I’m still not used to using my credits, and truth be told, I have no idea what any of them do. I know ONE of them calls in an airstrike, but I’m not sure which one. I believe I came in fourth on this map, thanks to my flag camping and blatantly committing suicide to kill any flag nabbers before they could get more than a foot from the flag position. I played another match that we won, but I didn’t do as well. It was the snowy mountains, and I’m just not any good on that map. Still, overall I had fun and managed to keep the rage down, mostly thanks to winning. 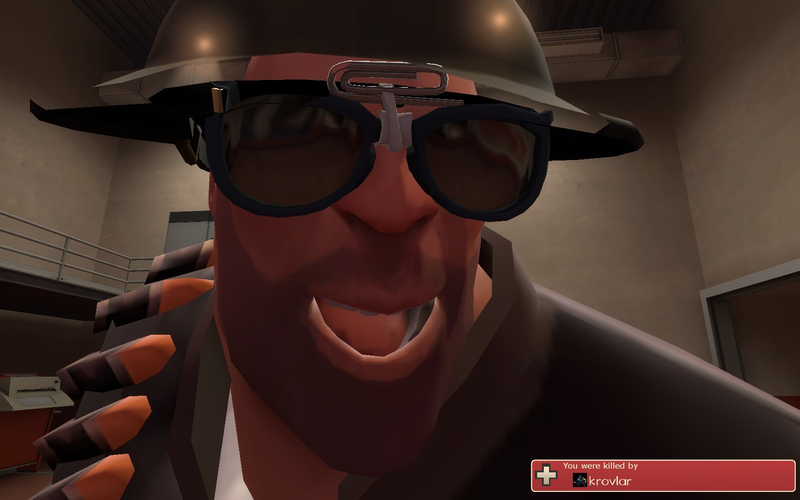 Now, I think I’m going to mess around with some TF2 and perhaps Warlock: Masters of the Arcane, as it’s one of the current Steam Summer sales.